In February 2017, several members of Luther Memorial met with school administrators and students/adult volunteers from the York Suburban Impact Foundation to envision how we could work together to address the needs of students. The poverty rate across the York Suburban School District is at 33%, which means approximately 80 students at Valley View Elementary qualify for free or reduced school lunch. For some of these students, nutritious food is scarce or not reliably available over the weekends. We are the church that Christ calls to feed, shelter, and nurture this community, and the Holy Spirit is moving us to work with our neighbors to address the hunger needs of these dear children down the street. Through that collaborative conversation emerged the vision of a new backpack feeding program, housed at Luther Memorial and funded by the Impact Foundation. Congregational Council has approved transforming the former Boy Scout space into the home for this new feeding ministry which will run late September-May during the school year. YS Impact Foundation will provide funding and volunteers to pack backpacks weekly. Luther Memorial will provide space, coordinate ordering, and inventory organization as donations and orders are received from the Central Pennsylvania Food Bank. As part of Gods Work. Our Hands., we are encouraging people who are able to set up a food collection box at work, with a group they are affiliated or to gather a few of the items from the donation list. On Sunday, September 9, we will gather in the Food for Thought room to sort, organize and label the donations. “Food for Thought” is a collaborative partnership between Luther Memorial Lutheran Church and the York Suburban Impact Foundation (part of YSEF) which will begin to meet the needs of food insecure students at Valley View Elementary in Fall of 2017. Once the program is up and running, a backpack full of nutritious, non-perishable meals and snacks will be sent home with students in need every weekend of the school year. You are invited to help us stock our shelves to feed the hungry in our community. If you can post a list of supplies and collect them at work, with a group you participate, or pick up a few items at the grocery store, we would love to have your help. You may drop off donations at the church Monday—Friday 9 a.m. — 1 p.m. or on Sunday morning from 8:30 — 11 a.m.
Each month, we offer opportunities to support local organizations such as the W.E.L.L. (West End Local Link), Community Progress Council, Haven Home for Girls, York Suburban School District, and many more. To see our current collection, please visit our 'Communications' page. Current collections are included in the Lumen Newsletter and the Weekly News. Each Monday and Tuesday from 7 - 8:15pm at Christ Lutheran Church and Union Lutheran Churches in York, the York Conference offers FREE tutoring to students in 1st to 5th grade. The more tutors we have, the more children we can serve. If you would like more information or feel called to share your academic gifts and love with children in the community, please visit their website at http://ycltutoring.weebly.com/ . 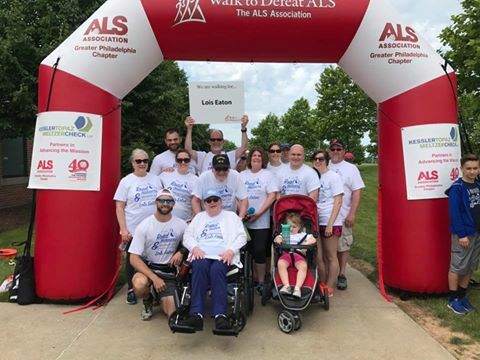 ​at the ALS Walk in Hershey. Luther Memorial supports the ELCA World Hunger Appeal through annual collections during Lent. We also have a group, The Good Gifts Circle meets on the 1st Thursday of each month to plan opportunities for the congregation to support World Hunger. How it Works - As members of the Evangelical Lutheran Church in America (ELCA), we believe that God is calling us into the world – together. And with generous, loving hands, we can make a difference. ELCA Good Gifts is your opportunity to provide critical support to the ministries and programs that mean the most to you and the people you love. 1. Choose your gift - Browse and choose the gifts that mean the most to you, or choose gifts to give in honor of friends and loved ones. 2. Get a card - If your gift is in honor of a friend or loved one, it’s easy to tell them about it. Give online and you may personalize free, printed cards to be sent directly to your loved ones. You may also select to send the cards to yourself, print them at home, or have them delivered via email. Card options will be available after checkout. Note: These options are only available when you give online. 3. Where your money goes - Every project in every community starts with listening. We believe that our congregations, companion churches and partners know their communities best. That’s why they identify the needs and priorities in their communities, as well as the solutions they believe will make the biggest impact. The items in this catalog are real examples from projects currently supported through different churchwide ministries. The projects have been planned by our partners – meaning that each community receives exactly the kind of support they need and none of what they don’t. 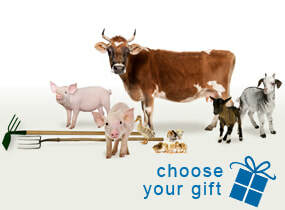 Your donation will be used where it is needed most within the wider category of each gift you’ve selected. (For example, a gift of vaccinations may be used to support other health care initiatives.) This allows our church to stay adaptive, flexible and effective in the work that we do. Because we seek to honor your generosity and keep administrative costs low, we do not track individual financial gifts to specific families or locations in the U.S. or abroad. More than 90 percent of your gifts directly support our programs. Less than 10 percent is used for administration and fundraising. Your gift is tax-deductible as allowed by law. You’ll receive a receipt of your gift for your records. ​Luther Memorial teamed up with St. Paul’s Lutheran, Temple Beth Israel and the Unitarian Universalist congregations. We ate together and joyfully packed enough meals to feed 10,152 people in record time. and to organizations all over the world to share warmth and comfort with God's children. The group meets the third Tuesday of every month at 11:45am in the narthex. (just through the doors of the main, handicap accessible entrance). Bring a lunch and your knitting needles or crochet hooks and join the fun! ​Can't knit? You can still help by donating yarn!